I really love reusing and repurposing. Maybe it makes me feel better that I hang onto so much stuff! As I headed back and forth to my basement, bringing up all the Christmas decorations, I kept passing this seatless old chair. You may remember that I used it this summer as a drink stand, but as I passed it each time, I felt it need to make it’s way out of the basement to be appreciated once again! 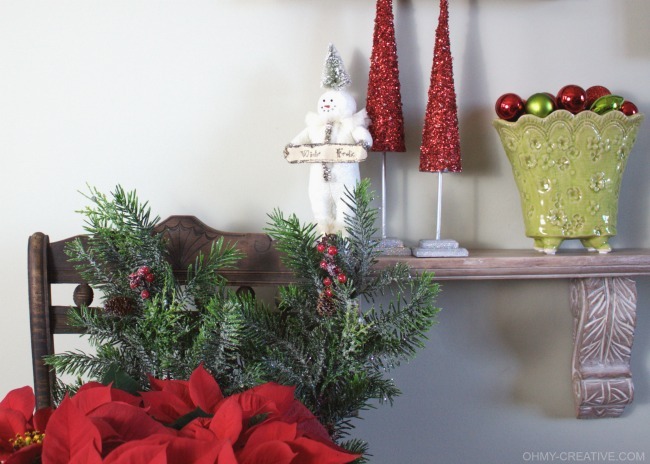 Ta-dah – Vintage Chair Christmas Decor! Here is how the chair looked early this year needing a little TLC! 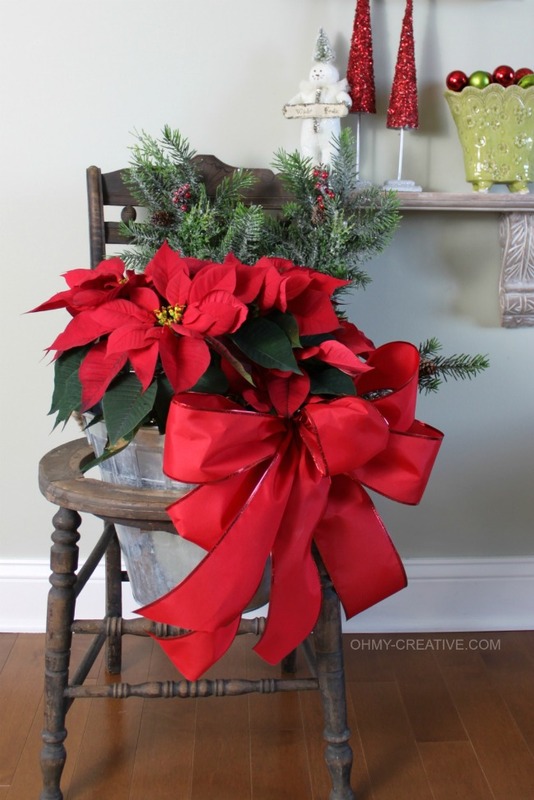 The galvanized pail made it easy to add a few holiday branches, a poinsettia and a big red bow to transform this old chair into holiday splendor! 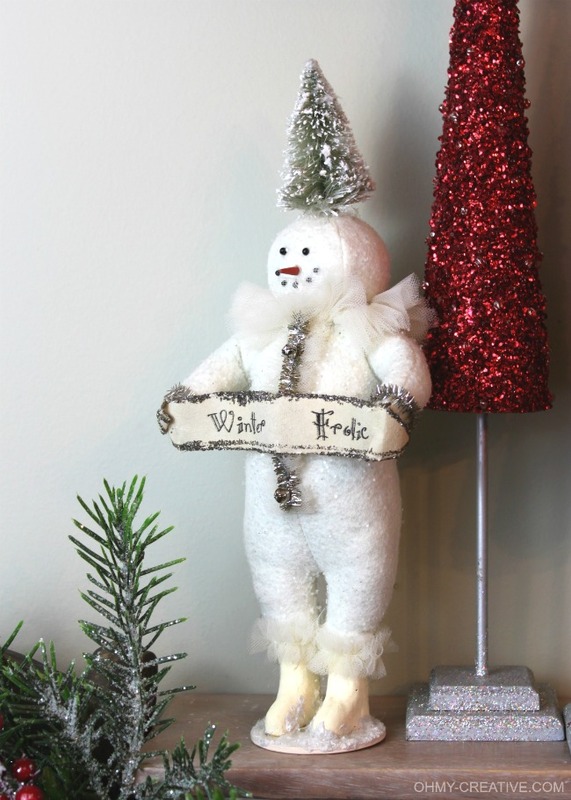 This little vintage snowman brings Winter Frolic to my home…I just love him! 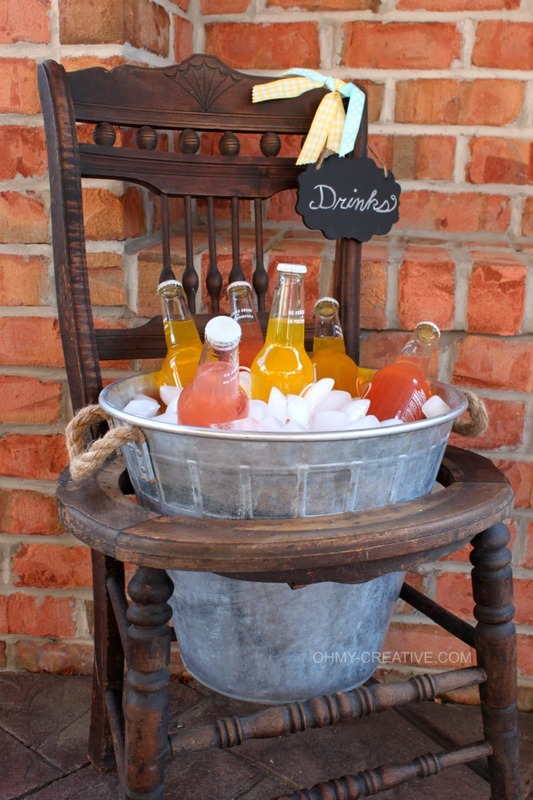 Come see how I brought this chair back to life this summer when I used the chair as a Vintage Chair Drink Stand! Cool party conversation piece! 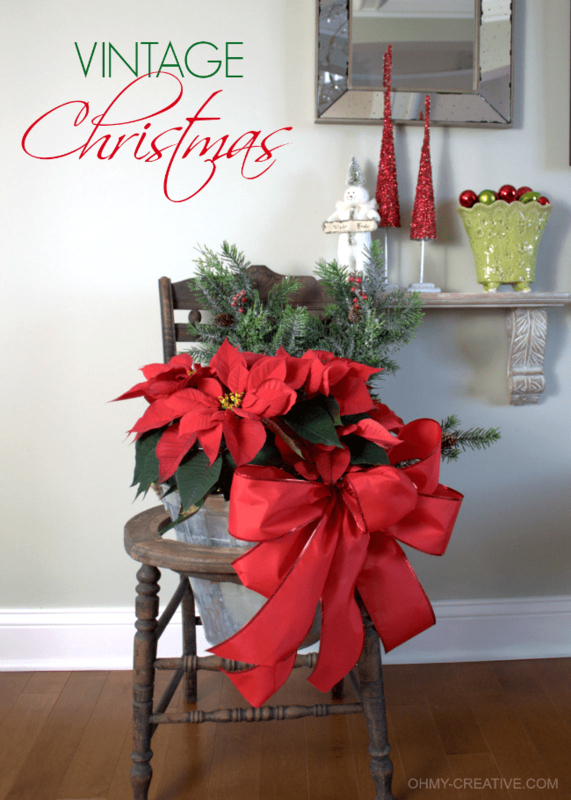 So many more Christmas Ideas await you here! 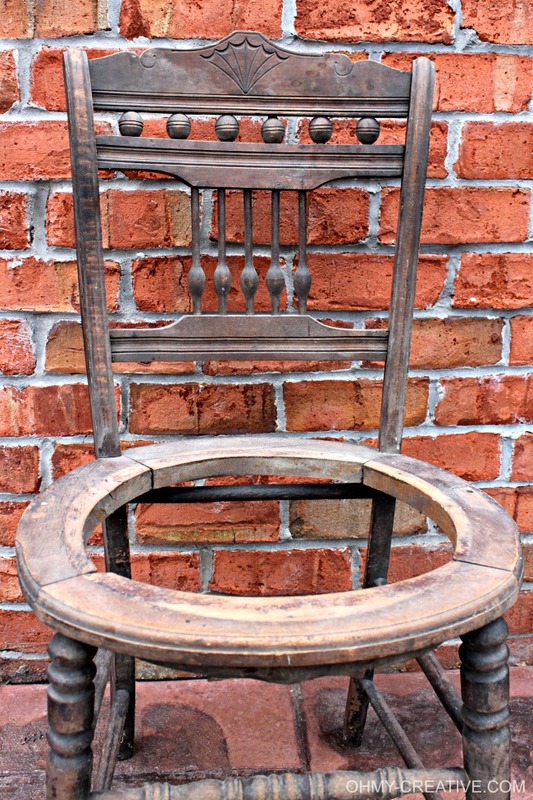 I absolutely love vintage chairs and this one is beautiful! I love you out of the box thinking and use of it- it makes it even more special! This is so cute and very creative! love it as a drink stand also! I would love if you would drop by and share this at Celebrate It! It is my blog party where we celebrate our wonderful everyday lives! 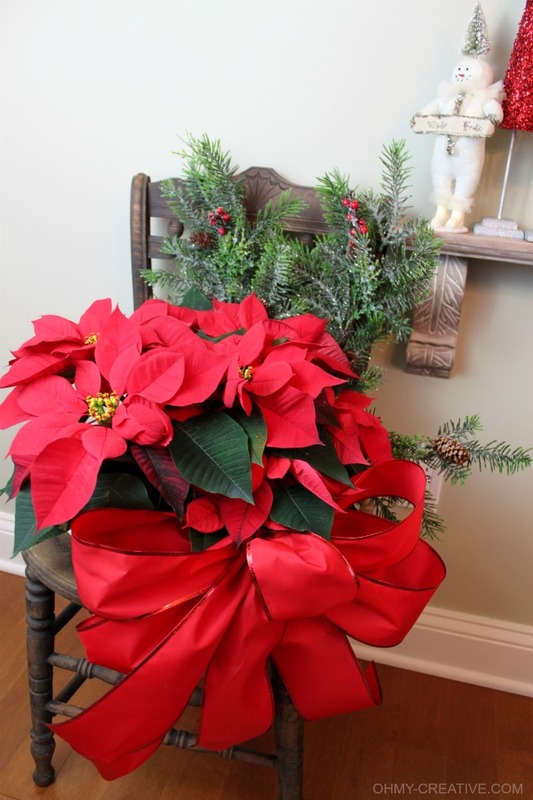 That’s a awesome chair and it looks perfect with the poinsettia in it!